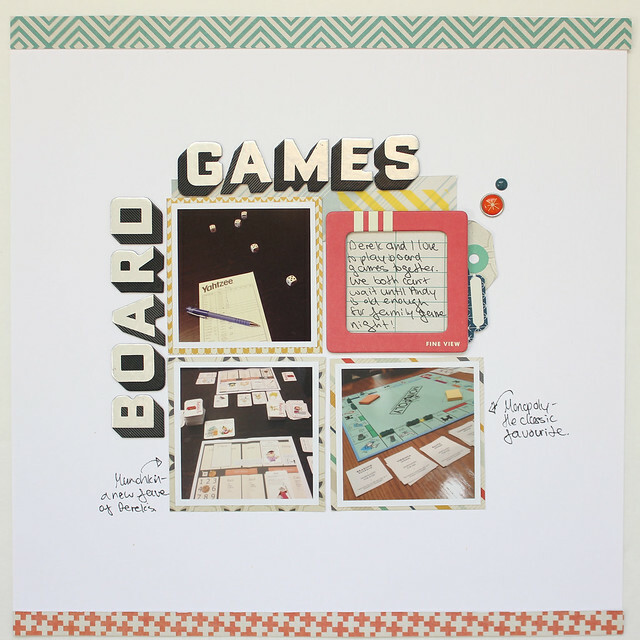 I made this layout for the Get Your Game On Issue at Paper Issues. I am far from you would call athletic and Andy isn't in any sports yet, but board games? Oh, we play a lot of board games in our house. We have a very large game collection and cannot wait until Andy is old enough for family game night! I have had American Crafts' Chap line in my "maybe purge" pile for awhile now. I love this line, but it's three years old now and there is always a new line that I want to use. I thought the colours in Chap would be perfect for a layout about board games and I'm really happy with how it turned out and that I was able to use some stuff from stash! I really love the way tags and labels look layered under photos and paper on layouts. 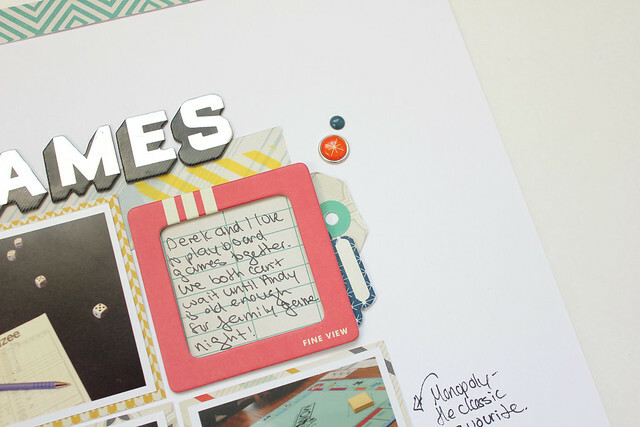 The chipboard frame is from Crate Paper's The Pier line, but it was the perfect colour for this layout. Funny story about those Thickers. They came in a pack I bought from Winners (Canadan Marshalls) that were 5 for $10. That is an amazing deal for Canada! To put it in perspective, a pack of Thickers from Michaels here is $8.49! Anyway, because this deal was so great, I didn't mind that there was a pack or two that I didn't like. And I did not like these ones. I have never used them and put them in my purge pile. When I was looking for a Thicker to use for this layout, I knew I wanted a bold font. This pack was just perfect and I feel they go really well with the 'board game' theme. Well, wasn't I surprised when I looked up the Chap line on the American Crafts website to see that these are actually from that line. No wonder I thought they went well together. Wow. That is a very long story about a pack of Thickers. 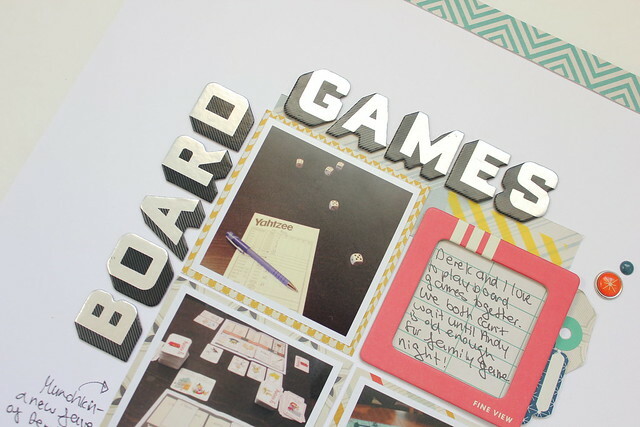 Do you have a scrapbooking product that you didn't like at first, but you either ended up loving or was perfect for a particular project? Such an awesome LO! 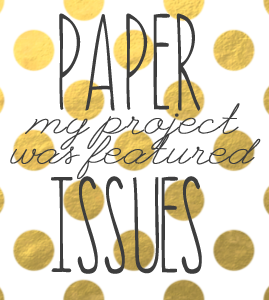 Thank you for linking up to Paper Issues!